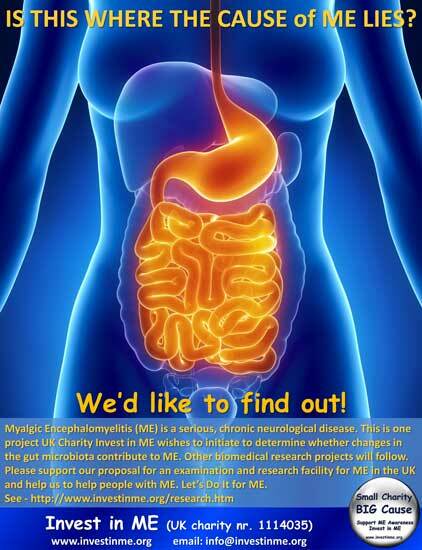 May 1st marks the beginning of the international ME awareness month 2013. Head over to the ‘invest in ME‘ website to find out what activities are in place over the next four weeks. Helping raise awareness of this debilitating condition and funding further research into the causes and potential treatments. It is a very worthwhile cause. ME is myalgic encephalomyelitis and is also referred to as Chronic fatigue syndrome or CFS. It is a long term condition of tiredness and fatigue that has no medical routes, that is, that there is no other medical condition causing the fatigue or tiredness. It is usually diagnosed by your doctor, however, there is no real test to evaluate ME like other medical conditions. The diagnosis is made by evaluating the patients symptoms. People with ME often feel that the word ‘fatigue’ isn’t enough or descriptive enough of their condition, as there can be many more symptoms to ME than just tiredness. Therefore, there are some people who believe that CFS and ME are two entirely different conditions. The cause of ME/CFS is relatively unknown despite a large number of research projects. For some, the belief is that it may have been triggered by a virus, leading to post viral depression as seen in cases of glandular fever. However, in conditions such as glandular fever or even influenza, the individual usually recovers in a matter of weeks, or up to 7 weeks in the case of glandular fever. There are certain other factors that are taken into account when dealing with ME, such as, persistent stress, viral infections, depression or mood disorders, and even a poor diet can make symptoms worse in the sufferer. ME affects equally as many men as it does women and statistics reveal that it affects 1 in 300 people. It can also be found in young adults between the ages of 13 to 16. Although the most likely time to develop symptoms are between 20 and 40. The most common symtom of ME/CFS is fatigue and tiredness. This can be both psychologically and physiologically. The onset of the tiredness can come at any point and normally has to last longer than 4 months to be diagnosed. The fatigue is of such a degree, that it can’t readily be compared to other forms of tiredness, such as the fatigue you may feel after gardening, or a days work for example. It also doesn’t seem to be eased by bed rest. And different to depression, there is no real loss of pleasure in doing things or a lack of motivation. Unfortunately, the symptoms are often made worse by activities that require exertion. The symptoms of ME will often cause problems in focus and concentration, which may lead to poor decision making skills. It can also affect the short term memory. Because ME doesn’t seem to be eased by sleeping, it can often lead to problems in trying to fall asleep, staying asleep and very often, sufferers will wake up much earlier than they intend to. Leading to further frustrations. There is usually an accompanying muscle soreness, discomfort in the joints and headaches. The severity of the ME symptoms are usually divided into three categories. Mild, moderate and severe cases. Although, at present, there is no known cure for ME/CFS – there are a number of treatment options which may help ease the symptoms, or to manage the symptoms. At my consulting room I use an approach of CBT (cognitive behavioural therapy) and hypnosis to help manage the symtoms. Relaxation has been proved very useful and hypnosis is a wonderfully safe way to induce feelings of calmness and relaxation in the client. CBT helps the client identify certain thoughts that may be leading to negative feelings and behaviour. It can also help with decision making and readjusting maladaptive thinking into a more rational way of thinking.